Office Space - Berinsfield, Oxfordshire. 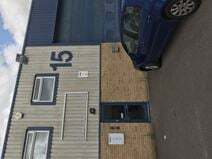 This business centre is offering a sublet work space, located within an industrial park which has easy access to the A34 and M40. The office is accessible 24-hours a day with high-speed WiFi and access to a shared kitchen. There is ample parking available for use, perfect for those travelling by car, and CCTV within the building. Just a nine-minute walk away there is a co-op, a cafe, as well as a large grassy area.